Spring Arts is home to Philadelphia’s first ever rotating, outdoor gallery. On this project I was responsible for the curation and management of a multi-site mural project flaunting the creative lifeblood of an entire neighborhood. 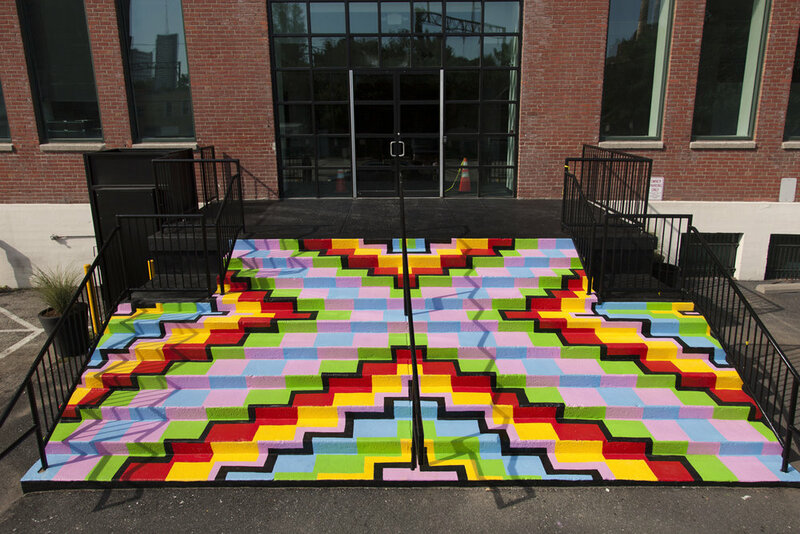 In partnership with developer Arts and Crafts Holdings—whose vision was to reimagine the Callowhill area as Spring Arts—we united various local artists, with different relationships to the neighborhood, to create novel and expressive works. Miriam Singer, Ryan Beck, Andrew Jeffrey Wright, Hawk Krall, Martha Rich, and I each contributed to the major step for rebranding the district as a center for the creative class. I will continue to manage this project with a phase 2 set to begin in 2017.